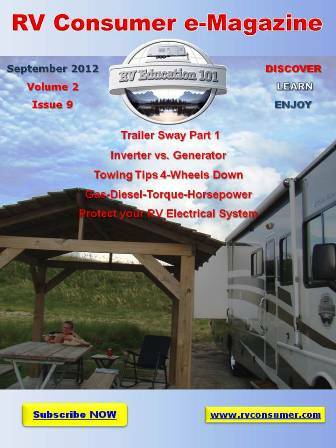 It doesn’t matter if you are a new RV owner or a seasoned veteran, we all make silly mistakes at some point in time. 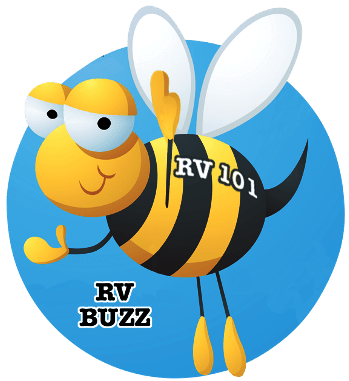 I usually encourage the use of checklists to help avoid making some of the more common mistakes RV owners make from time to time. When you use a checklist it’s not as easy to forget or overlook a certain step or procedure. But you can’t have a checklist for everything you do in your RV. With that said, in no particular order I want to offer some common mistakes RV owners make in an effort to prevent the same thing from happening to you. One common problem RV owners experience is odors coming from the black water holding tank. Most of the problem is associated with the way the RV toilet and black water holding tank is designed. RV holding tanks have a vent pipe going from the tank to the roof of the RV. The holding tank odors accumulate in the tank and can’t really be vented outside because there is no air pressure to help force the gasses (odors) up and out of the roof vent. When the air pressure is higher inside the holding tank, than it is inside the RV, the odor escapes into the RV by way of the toilet when you flush it. Some of this can’t be prevented but there are a couple things that help. One is to use plenty of water. The water level in your holding tank will help control odors. You need to get in the habit of adding more water to the holding tank whenever you flush the toilet. It is important you keep the water level above the contents of the holding tank to help control odors. And of course holding tank treatments help too. Another problem is people don’t add enough water after they empty the holding tanks. You need to know what size holding tank you have and make sure you add enough water to completely cover the bottom of the tank, at a minimum, every time you empty the tank. And there are aftermarket roof vents designed specifically to help pull the gasses from the tank and vent it outside. Next on my list is forgetting to turn off battery disconnect switches, and the next time you use the RV the battery is dead. This has not happened to me in a long time, but it has happened in the past. The last thing I do before walking out the door is turn the disconnect switches off. If your RV is not equipped with battery disconnect switches you need to double check that all the 12-volt devices in the RV are turned off. In this case it would pay to disconnect the negative battery cable, or purchase a battery disconnect that can be installed directly on the RV battery. It doesn’t take long for a battery to discharge, and if it remains in a low state-of-charge condition for extended periods of time it will die. Last on my list is forgetting to turn appliances off before connecting or disconnecting from electricity. This can be a costly mistake too, especially if it damages the air conditioner. Always make sure all of the appliances in the RV are in the off position prior to plugging or unplugging the unit into electricity. Another good habit to get into is to make sure the circuit breaker at the power pedestal is off, plug the power cord in and then turn the breaker on.